But that definition is pretty damn vague. This article will clear it up a little bit. I’ll give you 7 general content upgrade strategies and 15 specific examples. 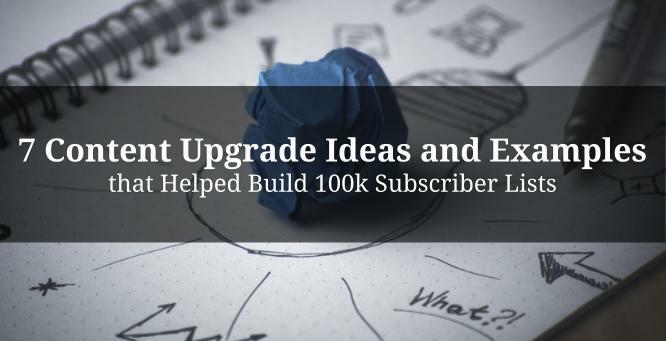 I’ll also give a few tips on how to make content upgrades without breaking the bank. Before we get started, feel free to check out my introductory article on how we used content upgrades to increase email opt-ins 600%. Note: All of the content upgrade examples in this article are added using a click popup within your blog article. To learn how to do this, check out the article above for a step-by-step walkthrough. Click here to get a step-by-step walkthrough of building a professional-looking content upgrade for free with zero design experience. Content upgrades are all about making it easier for your reader to execute on your article’s strategies. A list of resources does just that by doing the work for them. Let’s say your article on Facebook best practices advises readers to “make your Facebook posts super visual.” That’s all well and good, but few businesses have access to a huge library of stock images (and buying them is usually prohibitively expensive for small businesses). Why not email-gate a list of 113 visual marketing tools and apps, including 54 stock photo resources? This is also why content upgrades convert so well. 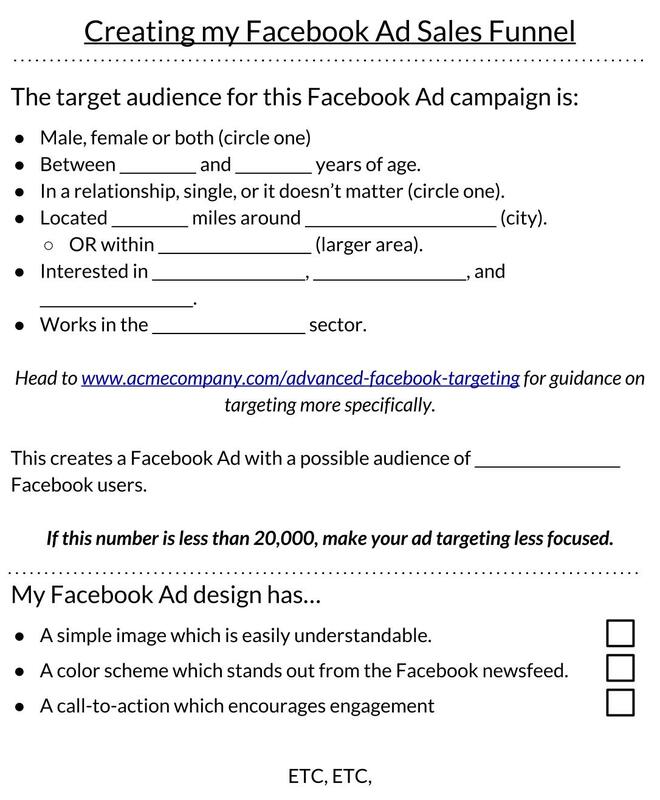 Your reader has been convinced they need to make their Facebook posts visual, but they can’t do it without the photos. And that’s when you offer them those photos for the low price of their email address. Your readers are busy people. If you can make it easier for them to learn from you they’ll appreciate it. A recording of your content functions like a podcast, allowing your readers to download and listen whenever they like: on their commute, at their desk while doing other work, or during one of those pre-meeting meetings where you decide when to have your next meeting. The only difficulty with recording your content is the visual or example elements. It’s tough when you have to describe the landing page you’re critiquing or the step-by-step process of creating a Google Ad without your reader seeing the images. That said, if your content is less example-focused or visual, I’d highly recommend you try recording and adding a click popup for it at the top of your articles. There are also services that will read and record your article for you for a few bucks. Google it! Like the external resources above, this type of content upgrade makes it easier to actually complete the strategies you talk about in your article. Let’s say your article was focused on how to identify holes in your business’ online sales funnel with Google Analytics. Now, that’s a pretty complicated topic, and you might be alienating a few of your more entry-level readers by writing it. So a downloadable guide to setting up Google Analytics would be a great resource for your readers to have at their fingertips while they read. Right? Why not give it to them before they start? Checklists are one of the most time-consuming content upgrades to create, but they’re also the most valuable and successful. Essentially, a content upgrade checklist gives your reader a step-by-step simplified version of your article (often with a few bonus points included). For instance, let’s say your article discussed everything your reader needed to know to create an ebook without design experience. Your checklist would take every step of that long process and break it down into actionable points your reader can tick off one by one. This type of content upgrade is a way to make your article’s recommendations more actionable and easier. Basically we want to facilitate our readers being able to actually do the things we advise them to do. 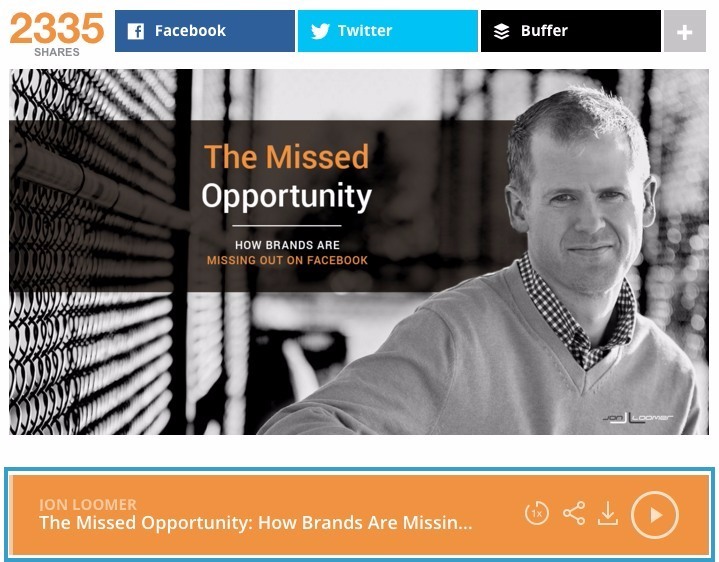 An example of this content upgrade might be funnel-focused. Let’s say you’ve just written an awesome article which breaks down exactly how your target market can use Facebook Ads (alongside your platform) to generate and nurture leads into sales. A fantastic resource for your reader would be a simple, editable PDF which allows them to fill-in-the-blanks. This is just about as simple as it gets, but is also (currently) our most popular content upgrade type thanks to Kevin Ho’s article on growth hacking tips, which is converting visitors at about 5.5%. Your more complicated or resource-oriented articles might lend themselves to being saved and perused at your reader’s ease (much like the article recording). There may be links or walkthroughs which your readers want to keep around or send to their friends or colleagues. As a result, being able to download a PDF of the article can be a really handy bonus to offer your readers. Creating it is extremely easy. Most word processors (both Word and Google Docs, for instance) allow you to download you to download your documents in multiple file formats, including PDF. Simply go to File in your processor’s toolbar and hit either “save as,” “download as,” or “export as” depending on which program you’re using. Top Tip: If you write your articles in code or Markdown (as I do) it’s easier to publish the article, copy the final product back into your word processor and download it from there. The bonus content upgrade works because you know 100% that your reader is interested in its subject (after all, they’ve already chosen to read an article on it). It taps into exclusivity, the subjective belief that something which has been limited has more value that something offered for free. For instance, write an article with 21 landing page examples critiqued and then hold a few of them back to create your content upgrade (making the article itself 15 landing page examples). Note: Often the “bonus content” upgrade works well in conjunction with one of the other types within this article. For instance, my psychology of conversion optimization checklist also features “2 psychological factors not included in this guide!” to encourage conversion. Hopefully that’s given you a few ideas for creating your own content upgrades. As I said in the introduction, we’ve had fantastic success using content upgrades, and haven’t yet tried out all of these strategies (though you can be sure we will). I’d love to hear if you’ve used them yourself, and what your experience was.